Plump, full lips are an attractive feature that conveys health and youth in both women and men. If you are self-conscious of naturally small, thin lips, or if you have noticed your naturally full lips have lost volume with age, Dr. Joseph Michaels can help. He offers several different lip enhancement options, including hyaluronic acid-based fillers and permanent lip implants, to add shape, definition and volume to the lips. Dr. Michaels can also improve the look of wrinkles and fine lines at the corners of the mouth, to complement enhanced lips. You have several lip enhancement options to consider. During your consultation, Dr. Michaels will examine your lips and inquire about your desired cosmetic outcomes. He will weigh the pros and cons of each treatment option and recommend the approach that he feels is best suited to your needs and goals. Dr. Michaels’ suggestion will take into consideration factors such as your physical facial characteristics and whether you desire temporary or permanent results. Together, you and Dr. Michaels will determine the best plan of treatment. Dr. Michaels’ preferred lip enhancement method is the injection of hyaluronic acid-based dermal fillers. He feels that Juvederm and Restylane are the best first-line treatment for providing the best looking results. 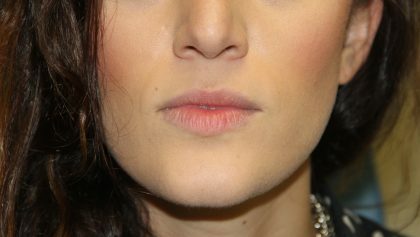 Small amounts of the filler product are injected into the lips and act as a cushion, inflating to add shape and volume. Dermal fillers can also be used to smooth lines, wrinkles and creases around the corners of the mouth. The amount of filler needed depends on your natural lip size and desired shape and size. The lips immediately appear fuller following your treatment. The size may increase slightly over the next one to two days due to swelling. The results will stabilize over the next few days. Typically, results last four to six months. Repeat treatment is needed to maintain the effects. If, for some reason, you are unhappy with the results of filler treatment, Dr. Michaels can inject a special enzyme into your lips to dissolve the filler; your lips will return to their natural shape and size. The doctor can also talk to you about treatment alternatives. 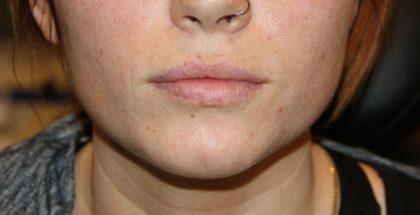 A longer-lasting alternative to dermal fillers is the placement of a lip implant. Lip implants are a good option if you desire permanent results without upkeep. Crafted from solid silicone, the Permalip implant is strong, sturdy and won’t rupture. It looks extremely natural and feels soft. These implants are FDA-approved for safe use in adults. The Permalip is placed through tiny incisions hidden inside the corners of the mouth, so there is no visible scarring. The placement procedure is quick and performed under local anesthesia. If you are not pleased with the results of the Permalip, or if you desire a different size, the implant can be easily removed through a short procedure. Fillers: topical as needed or local. Implant: local. 1 day back to work. 3-5 days for swelling to subside. Fillers: 4-12 months (depending on the filler used). Implant: long-lasting. If you would like to learn more about lip enhancement, click here or call (301) 468-5991 in Bethesda, Maryland or (703) 957-8610 in Fairfax, Virginia to schedule a consultation.